Augustus Saint-Gaudens was handpicked by President Theodore Roosevelt to lead the renaissance in American gold coin design in 1905. The President wanted the nation’s gold coins to inspire and impress millions around the globe, and he believed the Irish-born artist and sculptor was the man to achieve that task. Saint-Gaudens’ greatest design is featured as it was meant to be over 100 years ago on the 2009 Ultra High Relief Gold Double Eagle, available now through Silver.com. Only 997 coins available in this grade and condition! Given a face value of $20 (USD) by the federal government. Struck with ultra-high relief finish. 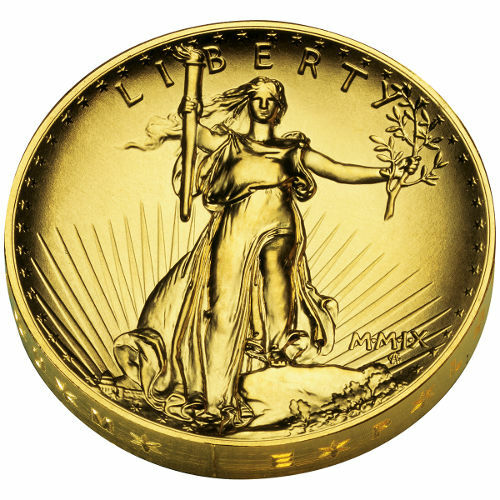 Saint-Gaudens’ depiction of Lady Liberty is considered one of the finest to ever grace an American coin. When he developed and refined his design in 1907 and 1908, he envisioned the image on a high-relief coin, with Liberty seeming to jump off the coin at the viewer. 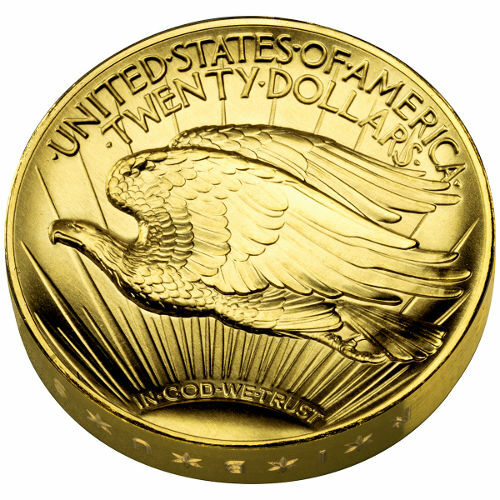 In January 2009, the US Mint released an ultra-high relief coin inspired by Saint-Gaudens’ original $20 Gold Double Eagle design, in circulation from 1907/1908 to 1933. On the obverse side of the coin is Lady Liberty. She is featured in her traditional robe, with a torch in her right hand serving as a guiding light for America’s future, while the olive branch in her left hand depicts the nation’s desire for peace. The reverse side of the coin depicts a bald eagle, wings spread wide, as it soars over the setting sun. The rays of the sun stretch out toward the coin’s edge, while the engraving “In God We Trust” is visible along the sun’s edge, and “United States of America, Twenty Dollars” is engraved above. Each of the coins in this Silver.com listing is in perfect condition according to the NGC, meaning they have their full, original luster and no blemishes. 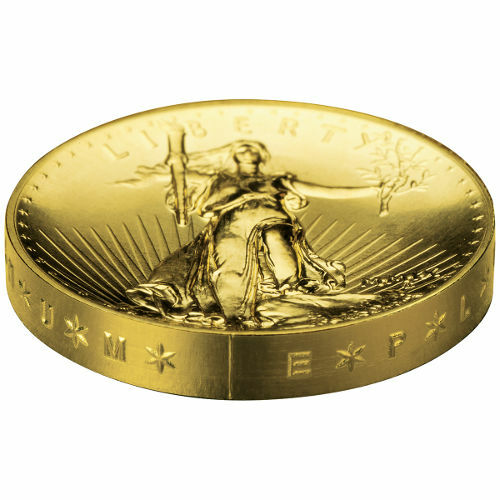 The proof-like finish of these coins is extremely rare on a bullion product. Please direct all inquiries about these products to a Silver.com associate at 888-989-7223. We’re also available online through our live web chat and email services. 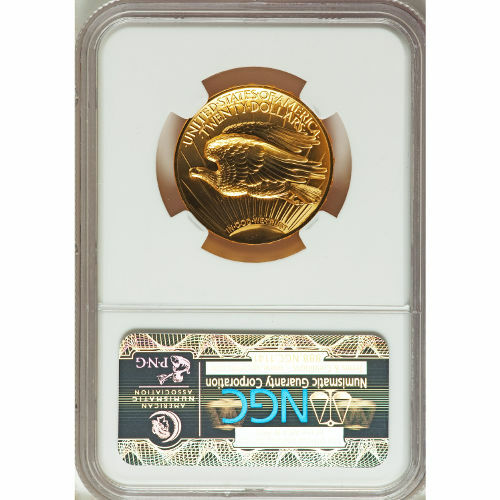 If you are interested in similar products, be sure to check out our full selection of Graded Gold American Eagles.